Yelena Galstyan, a magazine journalism student at Syracuse University, is taking a study abroad semester at the University of Queensland in Brisbane, Australia. In her second piece in a series about her observations in the land down under, she explores Cairns’ natural wonders. If you’re looking for a bustling Australian city with nightlife, shopping, and a café scene, do not go to Cairns. However, if you’re keen on seeing a tropical rainforest or an outback, or going on a coral reef adventure, make the commute to Far North Queensland and experience the wide range of outdoor activities Cairns has to offer. A few weeks ago I went up there with 7 friends and it was undoubtedly one of the best weekends of my life. If this is your first trip to Northern Australia, I strongly suggest you hop on an ocean boat cruise and dive the Great Barrier Reef while you still can. 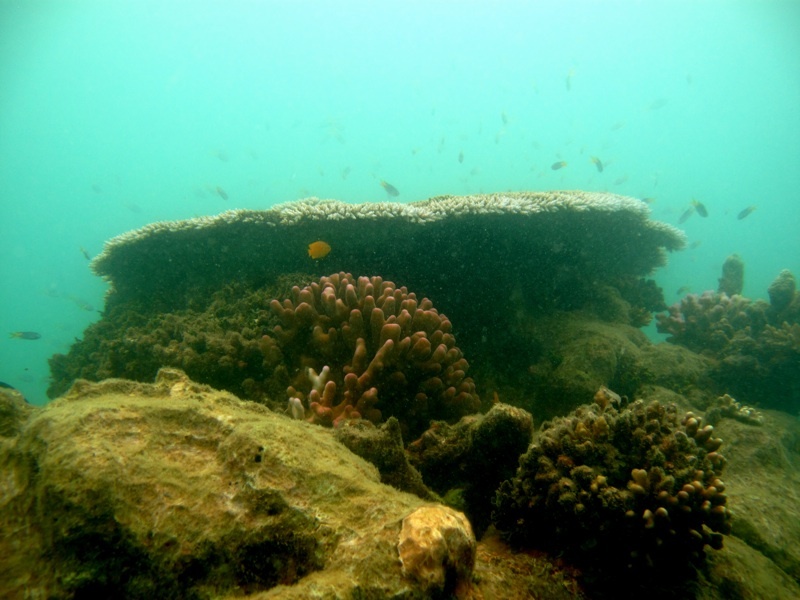 Some scientists predict the reef will die out within 10 to 30 years because of all the environmental threats on this fragile ecosystem. That gives us even more incentive to see this world wonder now while it’s still bursting with life. The great thing about Australia is that, as small tourism businesses flourish, you can easily find a company that provides an exciting experience both unique and personal. We booked our full day boat cruise with Ocean Free. The captain, a well-seasoned sailor with dreadlocks, blasted Bob Marley and navigated the steering wheel with his feet. The boat crew was accommodating and helpful, and the freebie trip to Green Island (a very small and exclusive island that only houses one very expensive resort) wasn’t bad either. After some morning tea and a 2-hour sail toward sea, we docked for snorkeling and diving. Beginner or not, scuba diving is very safe. If you’re not certified, a crew member will jump in with you and guide you through the reef. Key piece of advice: pay attention to the preliminary instructions on using the equipment. It’ll make your overall experience much better (and safer) if you know how to stabilize your breathing, ear pressure, and swimming technique. 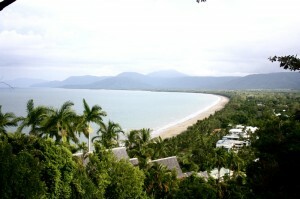 While in Cairns, I recommend you rent a car and venture up to the city’s scenic surrounding areas. The drive itself is enjoyable. Daintree is a gem of a small town (with only about 100 residents) located just an hour and a half north of Cairns. 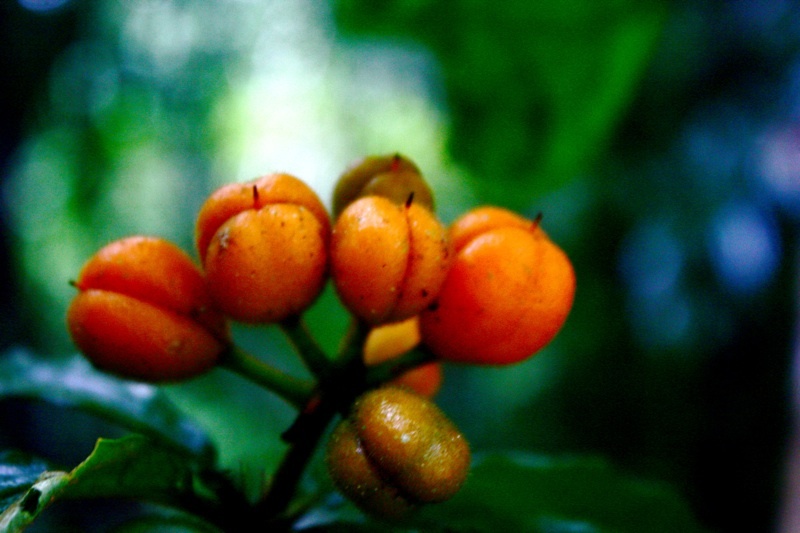 It’s in the heart of the rainforest, and has a wide expanse of pristine beaches and parks for visitors to marvel at. We trekked through Daintree National Park, the largest rainforest in Australia that is home to an unbelievable amount of unique species of plants and animals found solely in this tropical region. Next, we went on an electric boat cruise down the Daintree River, populated with over a 100 species of fish. The electric part means the boat runs silently, providing a peaceful ride along the river and preventing disruption to wildlife. With this crafty little boat, our crew was able to get within 15 feet of a wild salt-water crocodile who conveniently perched himself on the riverbank for our viewing pleasure. Afterward, we went to the local restaurant and ate croc burgers. 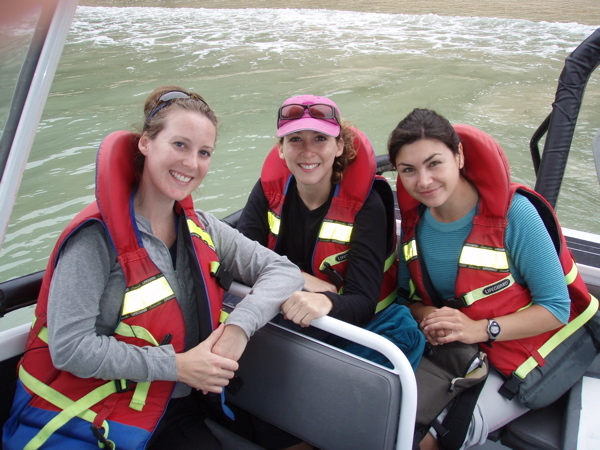 For a taste of Daintree, contact Electric Boat Cruises. 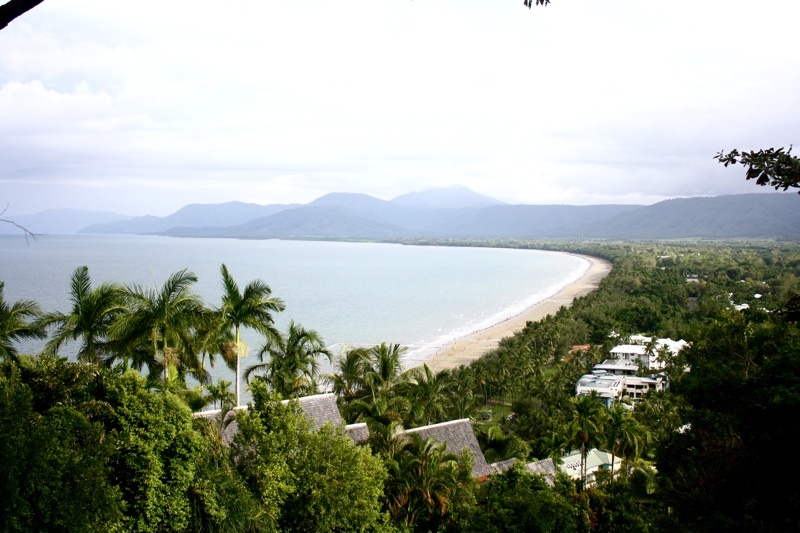 As we ventured back down south, we made a pit stop in Port Douglas, just an hour north of Cairns. This village is the perfect mix of luxury and lush nature. It’s a bit touristy but classy, with resorts, golf links, and stylish restaurants and boutiques. 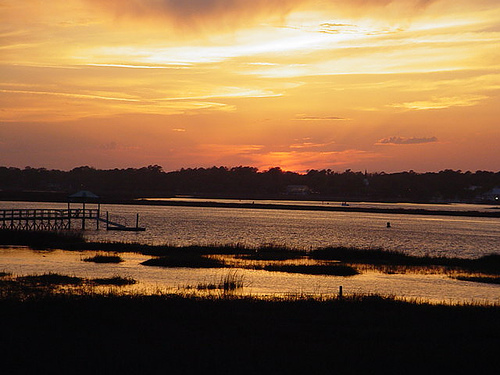 Port has been the backdrop to a couple of big budget Hollywood films, and is a hot spot for visiting celebrities. The best part of Port Douglas for us was the beaches. The water was 85 degrees, and the area was guarded off by a net to keep out the jellyfish. This tropical region is the perfect climate for dozens of toxic/deadly “stingers.” Before entering the water, make sure to read the signs and only swim in the safe zone. One stinger was described as giving the victim “a feeling of impending doom.” Avoid that. Tucked away in the rainforest hills of the Atherton Tablelands are majestic lakes and freshwater falls surrounded by lush greenery and native animals. The tablelands range from 600 to 1,100 meters above sea level and are a cool getaway from hot and humid Cairns. To see it all in one day, our group booked a Captain Matty’s Barefoot Tour. The enthusiastic tour guide picked us up at our hostel and we set off exploring. After jumping in a couple ice-cold waterfalls, we had afternoon tea and Captain Matty served us three platters of exotic fruits, ranging from passion fruit to dragon fruit. I highly recommend this tour. To ultimately appreciate Australia’s natural beauty, explore Cairns. You won’t regret it.